Arrange a place, date and get it done. Get new clients for growing your business. Your profile and account are 100% free. Set your own hourly rate. 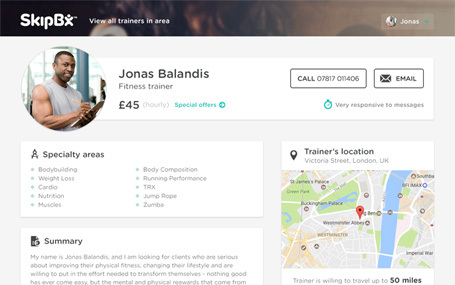 Trainers earn an average of 50£/hour. Train when you want, where you want. Collect ratings and reviews of your good work. Let us take care of marketing for you. Easy! Sign up in 3 minutes.